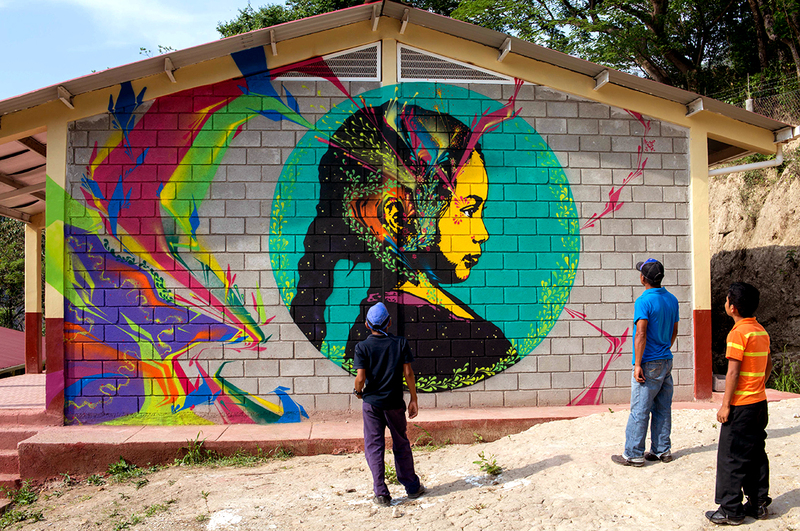 Stinkfish collabs with Mazatl and Kill Joy in Honduras on the Cuma Project, an independent initiative in several rural communities in the western part of the country that borders El Salvador. The goal of the project was to visit a variety of communities that have been affected by hydroelectricity. 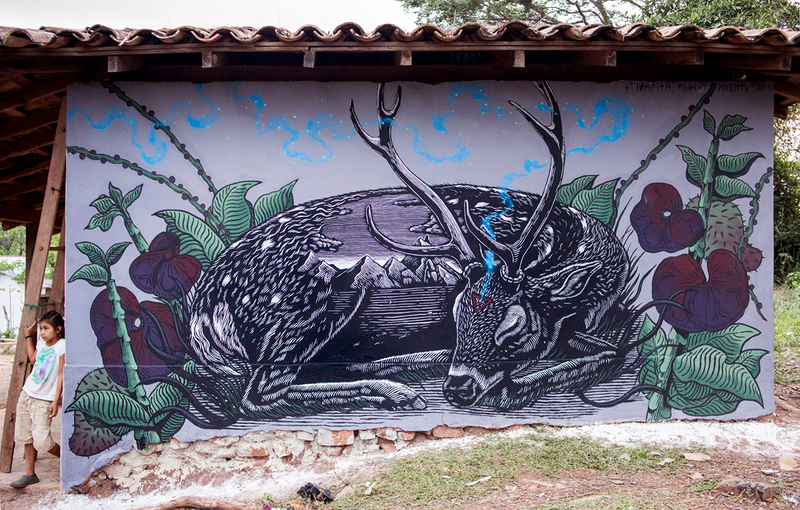 The artists completed a series of interventions on school facades and communal houses. They worked with COPINH (The Council of Popular and Indigenous Organizations of Honduras), an organization devoted to the defense of the environment, the land, and the local indigenous culture, the Lenca. "We met up in Tegucigalpa, the capital of Honduras. From there we took buses to La Esperanza, the Capital for the state of Intibucá and where the headquarters of COPINH are. Once we got settled in La Esperanza, we planned our work route for the following three weeks, so that we could visit certain communities as safely as possible and work on our interventions despite the heated environment, the constant harassment and threats after several confrontations with legitimate and illegitimate representatives of the hydroelectric corporations, and the assassination of Berta Cáceres (co-founder and leader of COPINH). The following three weeks we had the opportunity to visit the communities of Llano Grande, La Ceibita, Las Delicias, Las Mesitas and Rio Blanco. In their majority communities that can only be accessed by foot, that ironically don't have electricity and limited means of communication. The images that accompany these words are a brief summary of the experiences that we had in those days on the road, in communities that are committed to a struggle for their land, their rivers and their way of life, that shared with us a plate of food, a swim in the river, a soccer match, their experiences, history, knowledge, problems and victories. 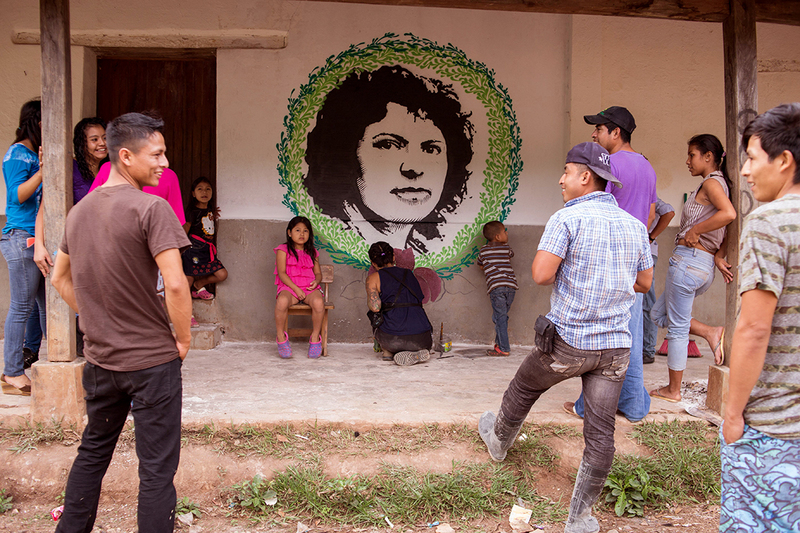 The struggle and work of the likes of Berta Cáceres and organizations like COPINH lives on in Latin America and many other regions of the world."